MainAll NewsForeign AffairsAbbas using Jerusalem declaration as excuse to skip peace talks? Fatah officials say Jerusalem move provided way for Abbas to resist pressure to accept US peace plan. PA seeks to undo Israel recognition. The Palestinian Authority is preparing a radical plan of action in order to take advantage of what appears to be a renewal of global sympathy for the Palestinian Arabs in response to US President Donald Trump's decision to recognize Jerusalem as the capital of Israel, according to Pinhas Inbari, a researcher at the Jerusalem Center for Public Affairs. Inbari outlined the PA plan to Arutz Sheva: "This program's modus operandi is to push via the network of non-governmental organizations in Ramallah the following causes: the elimination of recognition of Israel, the escalation of the 'nonviolent' Intifada, and the persuasion of European countries to remove their recognition of Israel under the pretense that 'Israel has no borders' and that it 'rejects international authority' because it refuses to follow UN resolutions." According to Inbari, "At the same time, the Palestinians will accelerate the process of joining the UN agencies, as well as encouraging international tribunals [to act against Israel] and BDS. The attitude toward the United States will henceforth be to treat the US as an enemy state." Senior Fatah sources in Ramallah were quoted recently as saying that that Trump's declaration that Jerusalem was the capital of Israel came at the perfect time for the PA, as the declaration gave the PA an excuse to reject the Trump Administration's upcoming peace proposal, which the Saudis were pressuring PA chairman Mahmoud Abbas to accept. The proposal reportedly included the unification of Areas A and B in Judea and Samaria, massive economic assistance to the PA, and the transformation of part of Area C into an economic zone for the PA, establishing economic and employment zones for the Palestinian Arabs under Israeli administration, similar to existing industrial areas such as Mishor Adumim and Barkan. On the other hand, the discussions of the issues of borders, Jerusalem and the refugees are to be postponed. Abbas wanted to postpone that deal - and according to the Fatah officials, Trump's delcaration was a lifeline for him. However, the PA has continued to face opposition to the unilateral recognition of a Palestinian state from most of the countries to which it has appealed. 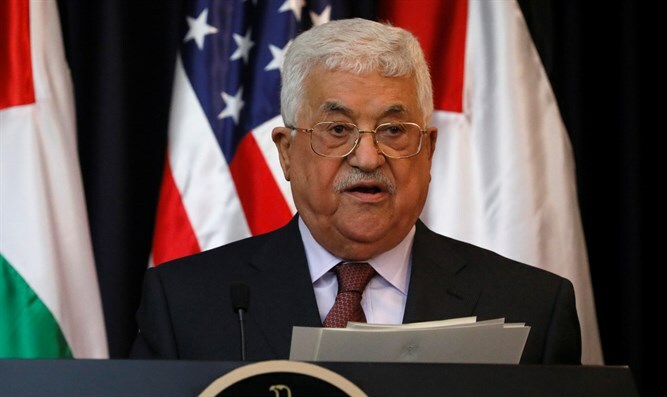 In addition, Abbas' plan has faced opposition from the Hamas terrorist organization, which claims that the declaration of an Intifada that does not include violence is pointless. "The United States has proven to be a dishonest mediator in the peace process and we will no longer accept any plan from it," Abbas said at a press conference with French President Emmanuel Macron.